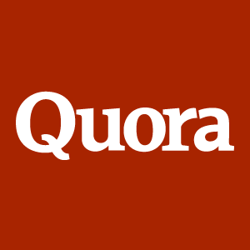 Quora, a Q&A service founded by early Facebook employees that has generated quite a bit of buzz, has launched to the public. The service first made its debut on January 4, 2010, but was previously restricted to users who had been invited (or had requested an invite from the site). The news was announced this evening in an article in the Wall Street Journal. 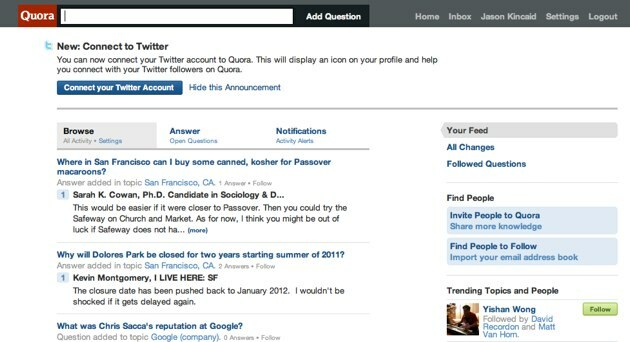 Quora was attracting plenty of attention since the day it launched its private beta, but things really picked up in March, when we heard that the service raised around $11 million from Benchmark Capital at a whopping $86 million valuation (the WSJ says it eventually raised $14 million at a $87.5 million valuation, so there’s some discrepancy here that may be due to additional investors other than Benchmark). At the time, we sat down with Benchmark’s Matt Cohler and Quora cofounders Adam D’Angelo and Charlie Cheever, who outlined their goals with Quora and how they would face looming hurdles. Part of it is making it so you see the stuff that you care about but you don’t see the other stuff. I think a lot of services lately have done a better and better job of that. Users follow topics and people that they’re interested in and that information is highlighted for them. Previously, there were two ways to register for Quora. You could either get an invitation from an existing user, or you could enter your email address in the box on our home page, and we’d invite you as soon as we scaled our capacity up. We’ve gotten to the point where we are confident that we can integrate new users as they sign up and maintain the quality of the site, and so we are opening up registration today. However, we put quality ahead of growth as a priority, and so we will change plans and limit registration as necessary to achieve that goal. We are not opening up to search engines at this point. Quora faces plenty of competition from incumbents like Yahoo’s hugely popular Answers service, though the answer quality there tends to be poor. Even more threatening is Facebook Questions, the Q&A service that Facebook is currently testing in private beta and could be a new Facebook “killer app”. That said, one user we spoke to said that the service felt different from Quora because it “seems to be more intimate/fun/terse than intellectual/useful/detailed”, which is where Quora’s strength has been so far.